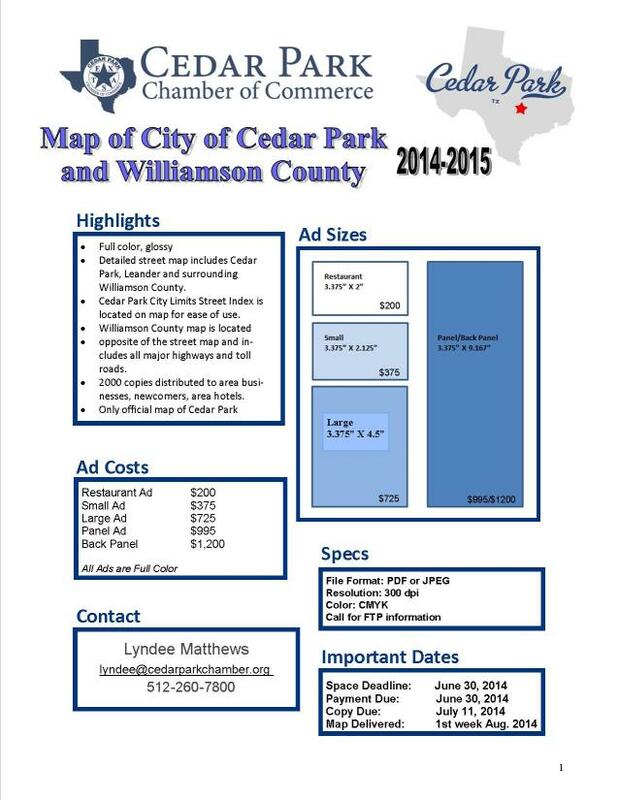 The Cedar Park Chamber of Commerce is in the process of creating its 2014-2015 Community Map. This is the Official Map of Cedar Park, Texas. To download more information, including prices, ad sizes, ad specs and more please CLICK HERE.